The Pebble is a wrist-mounted smartphone screen, complete with apps! The modern day smartphone is an awesome invention, but sometimes there’s just too much going on. Too many apps, too much information, too many things on the screen. Sometimes, you just need simple information delivered in an easy-to-read way. That’s what the Pebble is for. Basically, the Pebble is a smartphone accessory in the form of a wristwatch that gives you the time and whatever little bits of information you need on an e-paper screen via a Bluetooth connection. 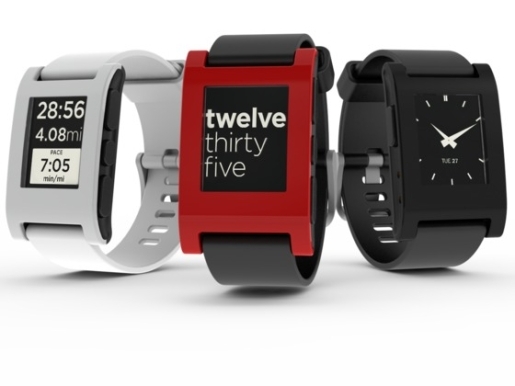 The Pebble has become Kickstarter’s most successful fundraiser ever. So just how successful has the Pebble been? Well, the most successful Kickstarter, money-wise, raised $3 million dollars in 60 days (though the best Kickstarter will always be Robocop’s statue). The Pebble, created by Eric Migicovsky and the company behind the inPulse smartphone watch for Blackberry, raised $2.6 million dollars in 3 days; as of the writing of this, they have topped $3 million. Not too bad for a device that’s basically worthless without some sort of Android or iOS device to sync it to!